is a STAR certified smog check station here to help lower vehicle emissions! Because we only perform smog checks at our station we will help you quickly and get you on your way! 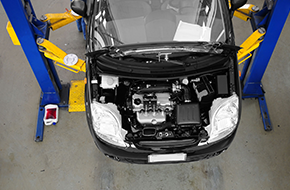 Our advanced smog check station will have you in and out in no time, so you can get back to your day! Do you own or are you planning on buying or selling a vehicle manufactured in 1976 or later? If you are in the Orange County, CA area and you answered yes to this question, then you may already know a stop at a smog check station is in your future. If that is the case, make sure you come in to Andy Test Only Center for a smog check test that is fast, cheap, and accurate! Andy Test Only Center is STAR certified and licensed by the state of California to only perform smog checks on vehicles that wish to remain on the road legally. California has paved the way in the fight against environmental pollution, and the biggest battle is being waged on vehicle transportation. While maintaining your vehicle’s emission levels should always be a priority, if you tend to forget or you are due for your next smog check, Andy Test Only Center will help you! 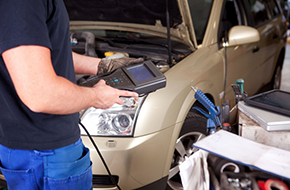 Because we only perform smog checks we will get your vehicle inspected fast and accurately. 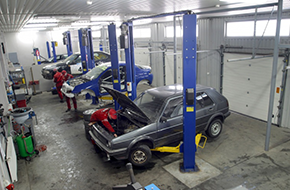 Our STAR certified advanced smog test station will fulfill your need for the required testing, and we will do it quickly and professionally. We are proud to participate in the battle against unnecessary vehicle emissions, and we strive to remain polite, friendly, and professionally with all of our customers. If your vehicle ever fails to pass the smog inspection, we will recommend other certified shops that can help get your vehicle back on track. We are committed to customer satisfaction! We are currently looking to expand our services to the Orange County, CA area, so if you need accurate, fast, and affordable smog tests with as little hassle as possible, come on in to Andy Test Only Center today! We are here to help. Give us a call, and schedule your next smog test with us!